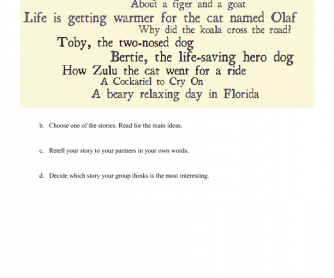 This is a jigsaw reading activity for small groups. 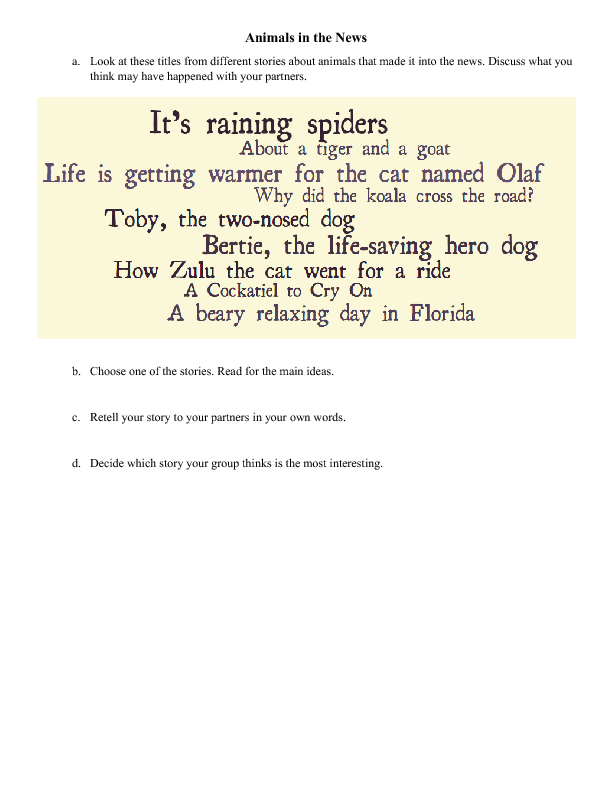 First, ss are given the titles of different news stories involving animals. Ss speculate on what could have happened based on the titles. Then they choose the stories they want to read and retell them to their group partners, comparing them to their predictions. Ss then vote on the most interesting story.